We are a family owned and operated business serving the Lynn area high quality, delicious food at affordable prices. We have an extensive menu from which to choose our made to order selections, all prepared from the freshest ingredients available. We pride ourselves on our great food and our friendly and helpful service. 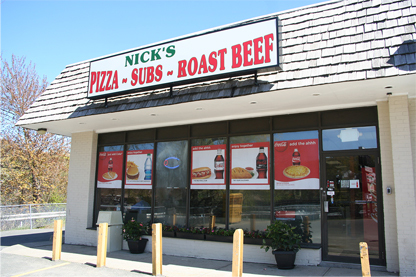 Nick’s Pizza is available for dining in, take-out or delivery. 50 Western Ave., Lynn, MA Phone: (339) 440-5696 / (339) 440-5414 Website by Community Communications, Inc.